If you are a lover of Crete Water Sports, this island can be your personal paradise during your holiday. Unique routes to the north or south coast, unexplored bays, swimming in crystal clear waters and unique exercise in the sea are just some of the water activities you can experience in your holidays in Crete. 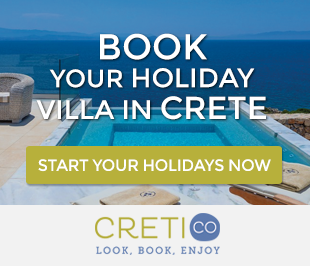 Become a Cretico Guest and enjoy your Holidays in Crete in your Private Villa. The extremely beautiful and interesting terrain of the Cretan land is impressing even below the sea level: canyons, cliffs, vertical walls, meadows, caves and shipwrecks remain hidden beneath the surface. Tides and strong currents are extremely rare due to the morphology and the relatively small area of the Mediterranean. The temperature of Cretan waters is high during winter and summer with an average of around 20°C – ideal for enjoyable diving experiences. The Greek seas can be considered as important archaeological sites. 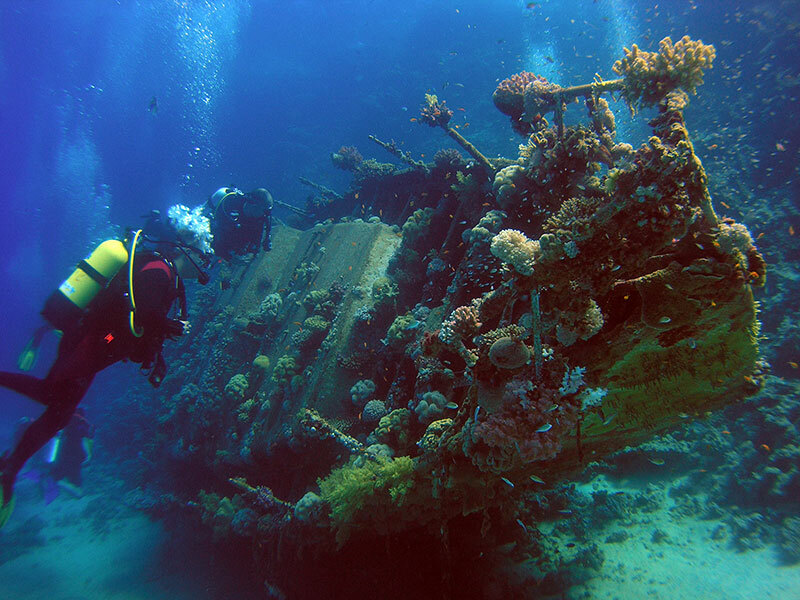 In their depths you can find archaeological ruins, shipwrecks and ancient ports. 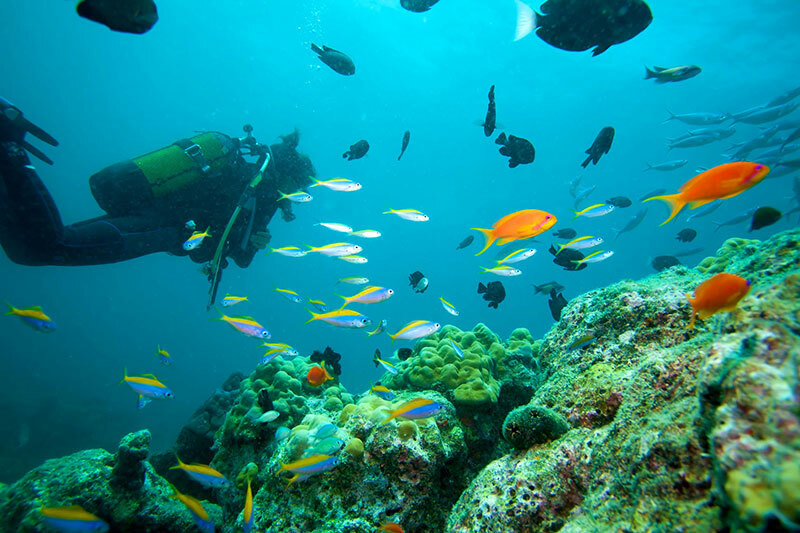 Beyond these submerged underwater finds, you will be excited by the beauty of the seabed and the rich underwater life in most of the beaches of Crete. There are also. many diving centers throughout the island (mostly in the north) responding to divers of all categories. In Southern Crete, the Libyan Sea, with its crystal clear water, offers the most interesting bottom topography in the Mediterranean. Lassithi: between Agios Nikolaos and Elounda is “Nikolos”. 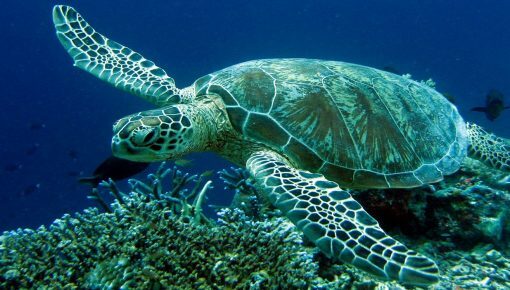 This is the reef where divers can see the turtle Caretta-Caretta. Also you will have the chance to admire “The wall”, a cliff with a vertical surface of tens of meters. At the bottom of the beach which is located right in front of the ruins of ancient Itanos, there is an ancient city! On the south coast there are remarkable sea kayak routes. These routes start from Paleochora, pass through Gialiskari and end in Sougia. This distance is about 12 miles. From Sougia, the route passes from Pefki, San Antonio beach, the exit of the gorge of Tripiti, Fournoti and ends in the bay of Agia Roumeli. From Agia Roumeli, the route leading to Loutro, passes from Agios Pavlos (St. Paul), an impressive 11th century church built on the beach. Then, it continues to “Trapezia” beach and the idyllic “Marmara” beach, with the beautiful caves and the impressive rocks. This route passes also in front of the exit of Aradena gorge and finally ends in Loutro. 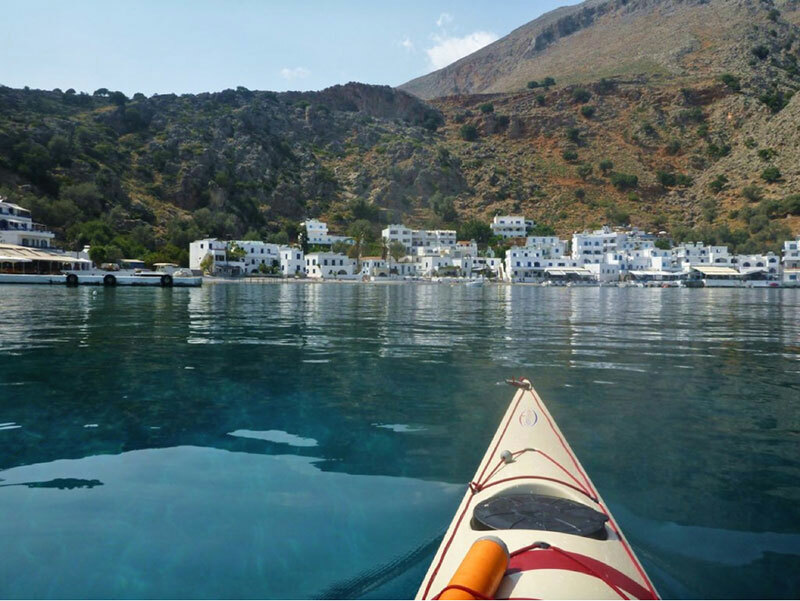 From Loutro, there are organized sea kayak routes to the beach “Glyka Nera”, as well as to Sfakia village. Read also: Hiking In Crete - Eastern Crete Awaits You! If you are in Lassithi, you may paddle in the calm waters of Plaka and explore the coastline of Spinalonga island on your kayak. 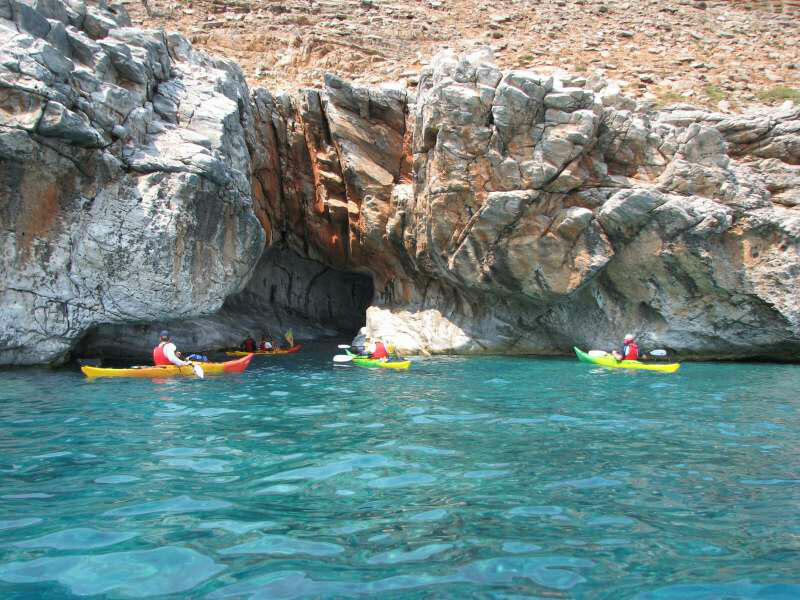 You will also enjoy the sea kayak route from Vai beach to Akrotiri. In the area there are Water Sports centers, where you can find all necessary equipment as well as information on sea routes. It is a myth that windsurfing is offered only in the islands of the oceans. 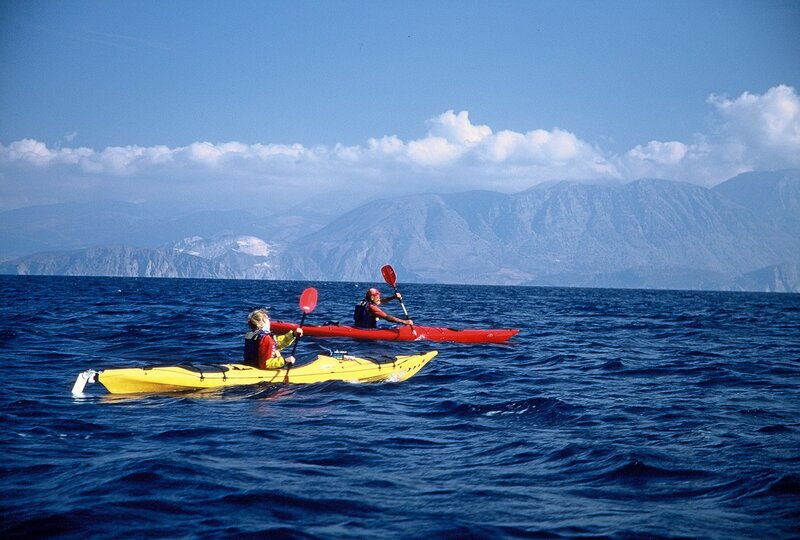 Crete, also, has many regions ideal for this popular water sport activity. 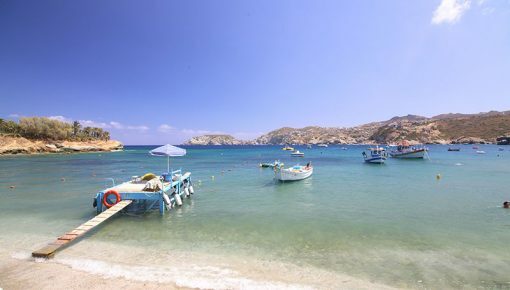 In “Kouremenos” beach there is an organized surfers club with teachers and lifeguards. 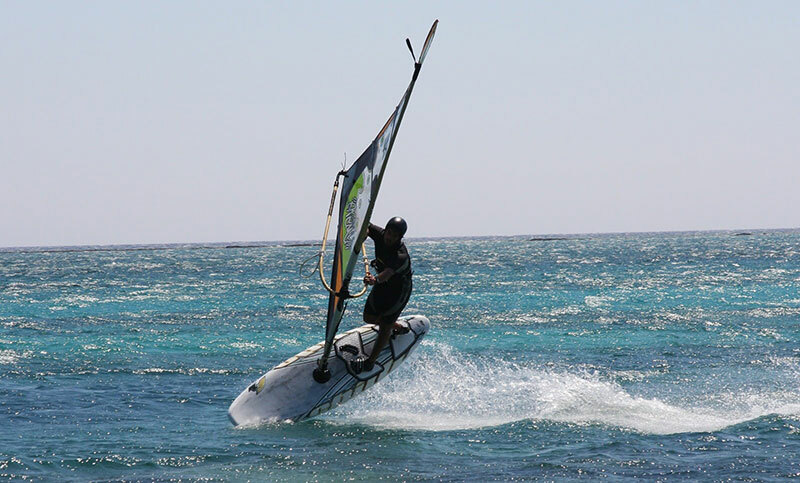 Elafonisi is also ideal for both beginners and more advanced lovers of wind-surfing. For those who can tame the waves there are many areas offered, such as Ammoudara, Agia Marina in Chania, Plakias in Rethymno, and Ierapetra in Lassithi. 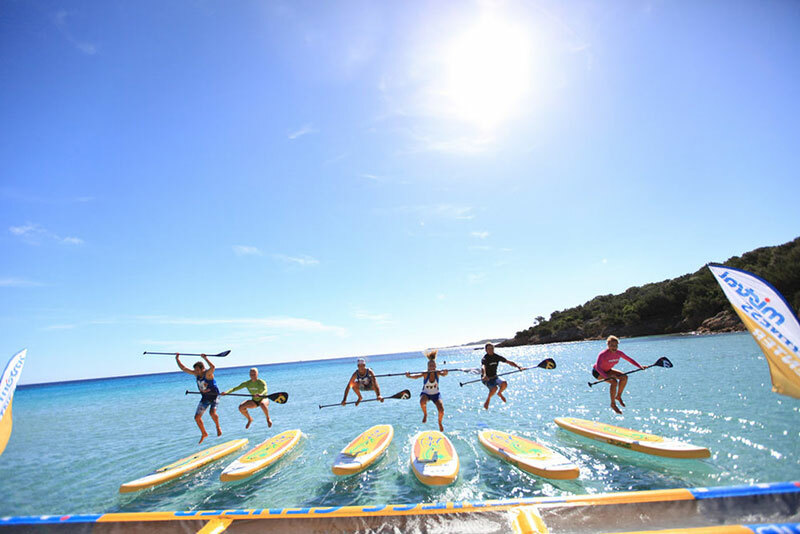 For the enthusiasts of Paddle Surfing in Crete, there are areas like Stalida and Arena in Heraklion, Falassarna beach and Paleohora in Chania. 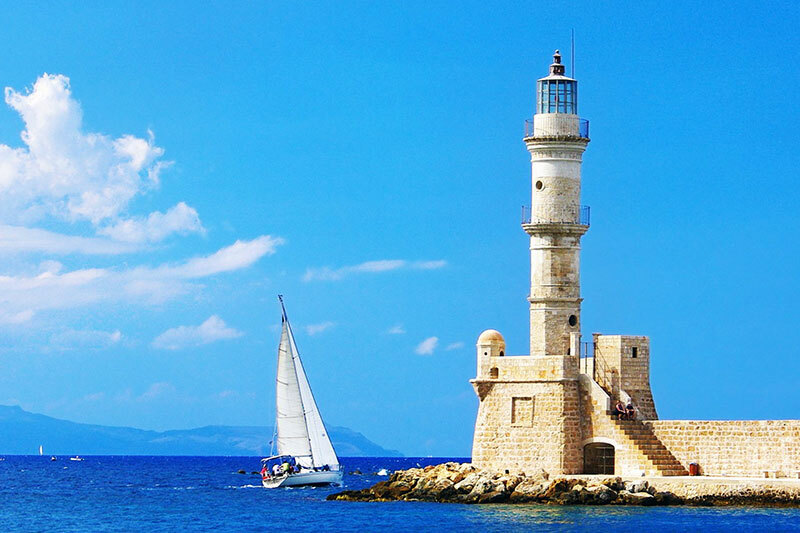 For classic surfers, Stalida in Heraklion and Platanias in Chania offer shallow waters with ideal winds and waves. These areas are more suitable for wind-surfing in winter and puddle surfing in summer. 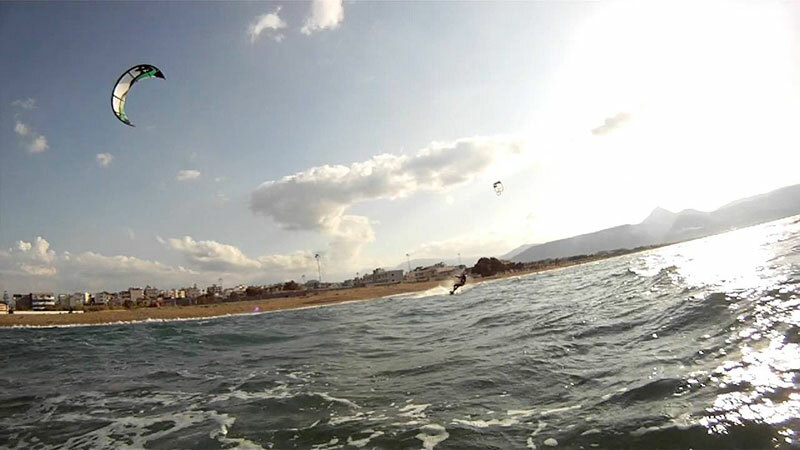 Finally, kitesurfing is a Crete Water Sports activity mainly offered in the perfect beach of Amoudara in Heraklion. You can rent a yacht in one of the well-organized marinas throughout the island with experienced captains and enjoy unique moments in the Cretan Sea. Most boats can host 4-7 people in cabins. There is equipped kitchen, bathroom and living room, so you will be very comfortable, even if it is a long-day trip. Many boats (sailing boats, fishing boats etc.) are hosted in the marina of Heraklion, in front of the Venetian Fortress “Koules” and a smaller number are hosted in the port of Pantanassa. You can find sailing boats also in the Venetian port of Chania, the marinas of Agios Nikolaos and Sitia, as well as in smaller marinas. 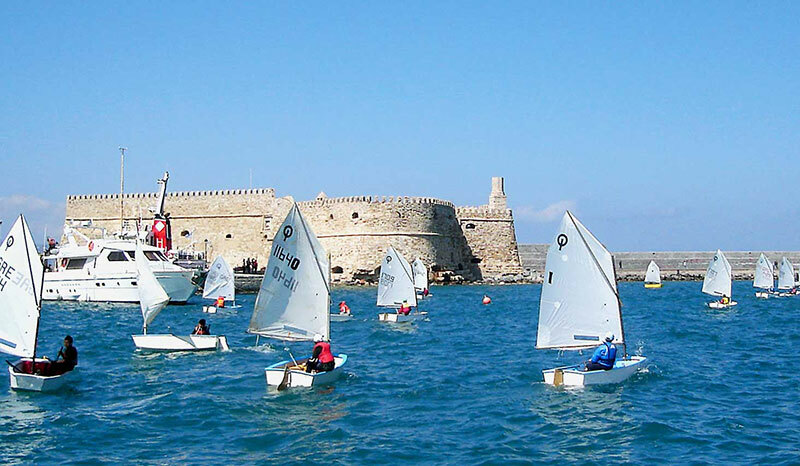 You will also be able to participate in the international sailing races organized every summer in Crete. Crete Water Sports are one of the many reasons to experience your holidays in Greece. You can combine your villa accommodation in one of the many villages of the island that offer water sports activities, or discover Crete’s coastline & sea through an amazing tour and enjoy thrilling and relaxing holidays! Posted on 09 Jul 2015 in Activities in Crete and tagged Beaches In Crete.